For many small-scale farmers, chicken eggs are the first product they ever bring to market and sell. And many farmers sell chicken eggs as well as vegetables, meat and other farm products. Keeping a home laying flock is something many people do, even those who aren't full-fledged homesteading or farming. It's really easy to end up with a surplus - just too many eggs - especially in the summer. This guide is designed to help you sell your extra chicken eggs, whether it's a dozen a week or a dozen a day or more. The first place to begin is to look up your state's laws on egg sales. Unfortunately, there is not a comprehensive database of laws around egg selling in the United States that I could find on the Internet. I'll keep looking and update this article with one if I find it. But it's easy enough to search your state's name and "egg sales law" on the Internet to find the regulations that pertain to you. You may need to get a business license or egg retailer's license. In some states, your henhouse and egg washing facility may need to be inspected. 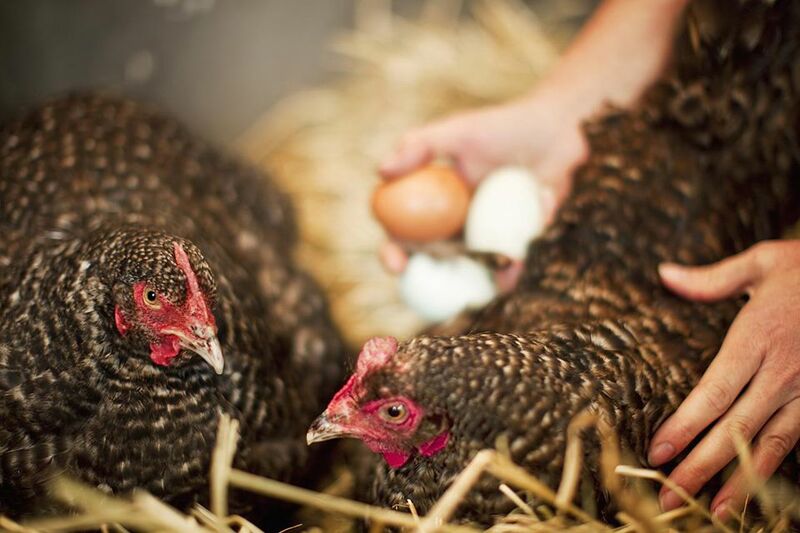 Many states have more lenient laws for small-scale egg producers. Depending on your state, you may need to candle and grade eggs. You may need to follow a very specific egg-washing procedure as well. I can't cover all the specifics of exactly how you will need to prepare your eggs to comply with your laws. So please do your research and make sure you're in compliance. Here, I'll cover a few of the basics that are common to all eggs that will be sold for others to eat: collecting, cleaning, candling and grading eggs, packaging and labeling eggs. If you are selling eggs, eggs should be cleaned if required and then refrigerated immediately. Many states have laws specifying that they must be stored at below 45 deg F.
If you must inspect and grade your eggs, you can follow these general steps with any specifics mandated by your state laws. Grading is the process of examining eggs for interior and exterior quality and sorting them according to size. In the United States, eggs are graded as AA, A and B quality, with AA the highest. First, inspect the egg exterior. Eggs must have sound shells and be clean (although a certain amount of staining is okay in lower grade). The egg shape must be normal: oval with one end larger than the other. Misshapen eggs may be sold as lower quality (usually B). Next, inspect the egg interior by candling. Candling involves holding a light up to an egg to see the inner contents. As an egg ages, the air sac inside it gets bigger as its contents shrink. Higher grade eggs have a very small air cell. In some states, you must use brand-new egg cartons to package the eggs you sell. In other states, clean containers can be reused. For example, at my local recycling station, people drop off used egg cartons for farmers to use. There is always a good supply of egg cartons available. Also, check your local cooperative grocery store or farmers market for extra egg cartons. Depending on the law in your state, you may need to label your eggs "ungraded" and you may need to include your name, business name, address, and the date the eggs were collected. If you are grading eggs, you may need to label them with the grade and size. Which Breed of Chicken Is Best for Your Farm or Backyard Flock? What Should I Feed My Chickens?